In the applet below, the orange segment that will eventually appear is said to be a midsegment of triangle. Interact with this applet for a few minutes, then answer the question posed. 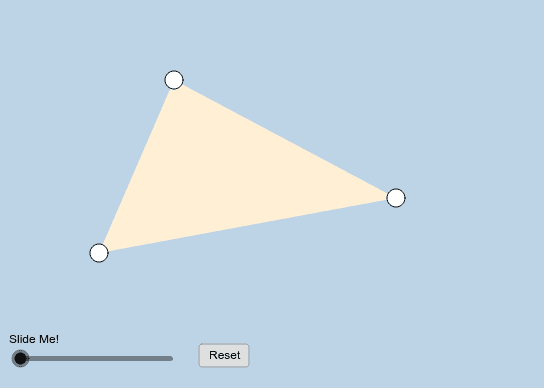 Be sure to change the locations of the triangle's 3 white vertices each time before re-sliding the slider!